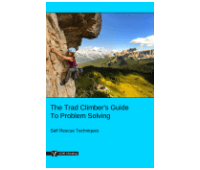 This article, Pendulums and Tension Traverses, is part of the e-book - The Trad Climber's Guide To Problem Solving. Pendulums and tension traverses are great techniques for moving sideways across a section which is too difficult to climb. A pendulum involves swinging across the wall to reach a certain point. 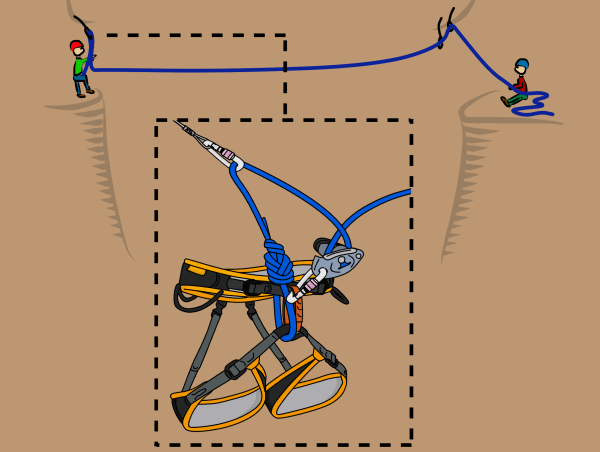 A tension traverse involves climbing across while assisted by a tight rope. Knowing how to ‘bail sideways’ is a good skill to have. 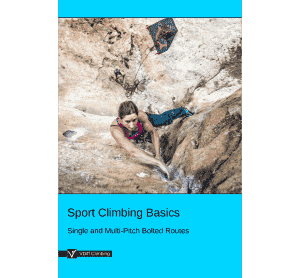 Maybe you’ve climbed off-route and now have a blank expanse between you and the right route, or maybe you’re halfway up a pitch and the climbing gets too difficult. Your problems may be solved if you can swing across to easier ground. Pendulums can also be used when abseiling (see our article here). Place a piece of gear which can hold a downwards and a sideways pull (you may want to equalize a few together). This gear needs to be bomber, and you may not be able to retrieve it later. Clip your rope into the gear and get your belayer to take you tight on the rope. Get your belayer to lower you. If you plan to pendulum, you can start swinging as you are being lowered. Do this by running sideways across the wall. 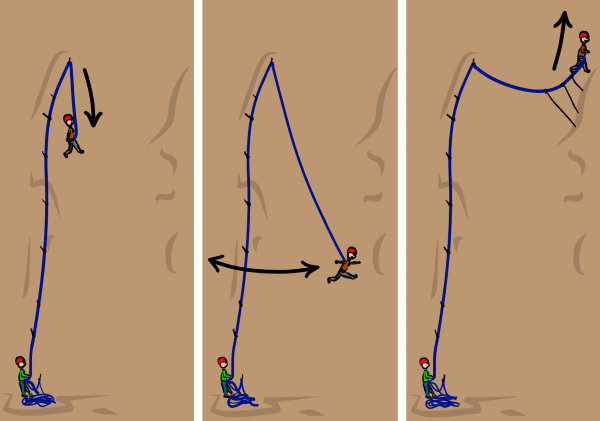 Communicate with your belayer so you don't get lowered too far – make sure you know where you're trying to swing to! Keep your momentum and swing a little higher each time. Often, you'll need to grab a hold at the pinnacle of your swing, so be ready for this. 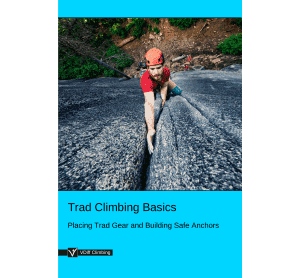 Once you've stuck the pendulum, continue climbing as normal, making sure to extend the next few pieces of gear after this to reduce rope drag. A tension traverse is similar but involves semi-climbing across with some of your weight on the rope. * Your partner will need plenty of slack rope to follow the traverse (around twice the diagonal distance of the pendulum). 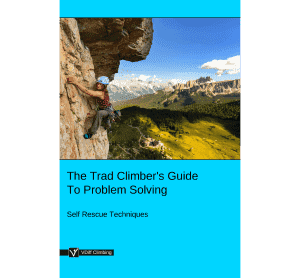 This usually isn't a problem, but if you climb a full rope length with a pendulum at the start of a pitch, your partner won’t have enough rope to follow it safely. 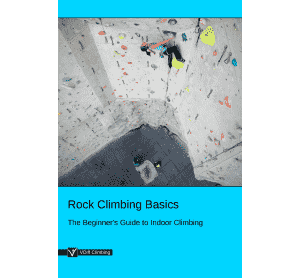 * If using half ropes, clip one to the pendulum point and the other to the pieces after the traverse. This will reduce your rope drag and make it easier for your partner to follow. Following is easy if the leader did a short traverse and extended gear well afterwards. Just follow the pitch as normal and gently swing/tension across the traverse section. 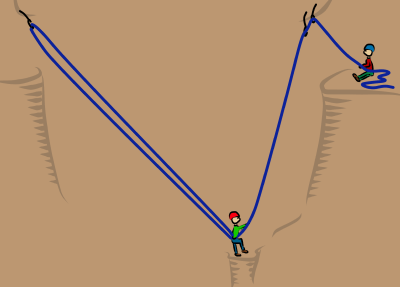 If the traverse section is long but easy enough to climb, you may choose to use the simpler back rope technique. However, for longer traverses across unclimbable terrain, you won’t be able to remove the gear which the leader traversed from or else you'll swing uncontrollably across the wall. To avoid this, you'll need to do a 'lower out'. It’s important to communicate well with your partner during this process. There is no completely safe way to follow a long traverse because there is always the danger of the lower-out piece failing. 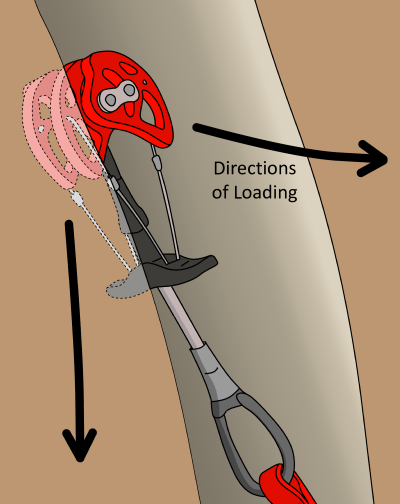 Using a belay device as described on the following pages significantly reduces the consequences of a fall if the piece fails during the lower out. If it fails, your belay device (in most cases) will lock, stopping you from falling to the end of the rope. You will still swing across the rock, but much less than if you had lowered out without a belay device. GriGri’s (or similar) will lock in the majority of cases that they are suddenly loaded. However, they are not actually designed for this. Depending on the distance, difficulty and consequences of the traverse and the quality of your lower-out piece, you may want to backup your attachment with a prusik. When you reach the gear which the leader traversed from, clip into it with a sling. If you have a good hands-free stance, you don’t need to clip in. Make sure the gear is still bomber after being pulled sideways by the leader. If you’re not certain about it, back it up with another piece. 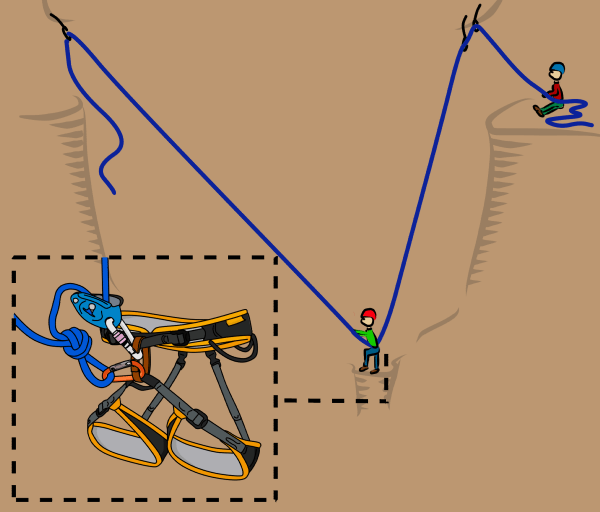 Attach an assisted-braking belay device to the rope as shown. Tell your partner that you are ready to lower. They will pull in the slack so the rope comes tight. You can now remove your clip-in sling if you are using one. Communicate with your partner as they lower you down and across. If semi-climbing (tension traversing) across, your partner may have to alternate between taking in and lowering out. Once you make it across, you’ll need to retrieve your rope from the lower-out point and then transition back to normal climbing. This is much easier if you have a hands-free stance. If you don’t, you could clip directly into a piece of gear to un-weight the rope. Either way, tie-off your belay device and remove any prusiks. Untie from the end of the rope and pull it through the lower-out point. Make sure to remove the knot before you let go of the rope! Tie back in to the end of the rope. Release your tied-off belay device and belay the slack rope through while your partner takes it in at the same time. This protects you from falling to the end of the rope should you fall at this point. Remove your belay device once your partner has taken in all the slack. You are now ready to continue following as normal. If you have lowered down too far, or still cannot climb the pitch, you can prusik up the rope until you reach easier ground. It may be possible to retrieve the lower-out gear by penduluming to it when you are higher up.